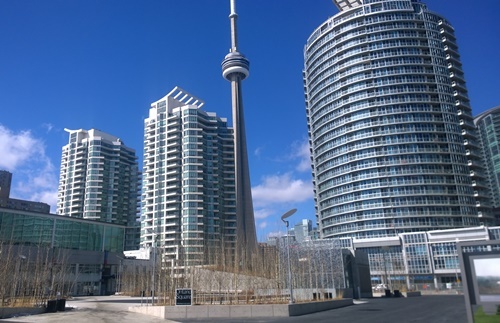 March 25, 2015	by	H. E.
The Condo market in Toronto is a minefield and one has to tread carefully in order to find the BEST DEALS and avoid potential pitfalls.These are important considerations when buying and down the road when you are looking to either rent the unit or sell it. • Are you close to public transportation, stores, and services like banks, doctor’s offices and pet care? • How much construction is going on around the building and what does future development in the area look like? Will your view be obstructed? • Which floor are you on and who are your neighbours? • Who is running the building and what is the level of satisfaction of the current owners? • Are there any assessments pending or any major repair issues or problems? • Maintenance fees are generally around .50 cents per square foot and rising. Most issues occur during the initial occupancy period or early on when the building is settling and the builder needs to address these issues. Often there are law suits as to whose responsibility these issues are. The Second time period that expenses occur is about 10 years after construction when elevators and balconies start to require attention. • Where is it located in the building and on the floor? Are you next to the elevator doors, garbage shoot and stairwells? • Does the unit have good flow and design? Some units are relatively small but function better than larger ones. • What is the exposure of the unit? South and South West exposures are usually most desirable. • Do you have parking and any outdoor space like a balcony or terrace? • What are the amenities in the building and are they well maintained? You are paying for them! Generally it is a SMART MOVE to check on all these issues prior to making a purchase and to not be distracted by glossy brochures and glitzy sales offices. Get to the real issues and have someone on your side who understands the marketplace and will ensure you get good value!